HITS » The HITS-on-the-Hudson Circuit Comes to a Close with Beautiful Weather and Championship Titles! That's a Wrap for the HITS-on-the-Hudson Circuit! Final Week of HITS Saugerties! Coupled with the HITS Championship was the final week of the HITS-on-the-Hudson Circuit. 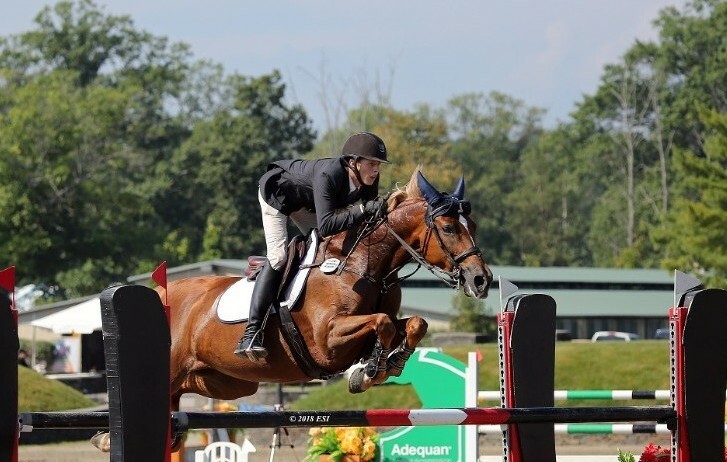 With Marshall & Sterling Insurance League Wild Cards and the NCEA Medal Finals, exhibitors took the reins for the final rides of the season at HITS Saugerties. Rising to the occasion this week were riders competing in the NCEA Junior Hunt Seat Medal Finals East. These Finals were developed for athletes interested in competing on intercollegiate team during their college career. A field of 20 would join us for the first round, which was scored over Jumper style course. The top ten riders would then return for the second round, the flat phase where they would be asked to complete a variety of the USEF Equitation tests including lateral movements like shoulders-in and haunches -in. 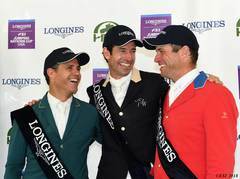 After the flat phase, the top four riders would return for the bracket phase of the competition, swapping horses so that they would be aboard a mount that they’ve never ridden before. Riders in Bracket A would take the reins aboard Sophia Ahearn’s mount, EVEN KEEL, going head to head to make it to the Finals. Riding first from Bracket A was Paige Jones, returning with a score of 83 from the over fence phase and a 70 from the flat phase. Jones would set the bar with a 78 in the bracket phase for a total of 231 which would put her in third place overall. Competing next in Bracket A, was Antoniadis, scoring an 80 and advancing to the final. With a total score of 253 after receiving an 85 in the over fences phase and an 88 in the flat phase. Riders in Bracket B would compete aboard Antoniadis’ horse, CASPER. Ahearn was first to go in this bracket, returning with a score of 82 from the first phase and a 72 from the flat phase. She wrapped up with a score of 79 in the Bracket Phase for a total of 233. in the Final Four. Competing against Ahearn was Noa Diener. Her score of 72 in the Bracket Phase paired with her 70 over fences and 86 on the flat for a total of 228 was good for fourth place. It was Antoniadis and Ahearn competing one last time for the final of the Bracket Phase, aboard Diener's mount, LINDEN. Ahearn would challenge the course first and received a score of 80, to finish in second place. 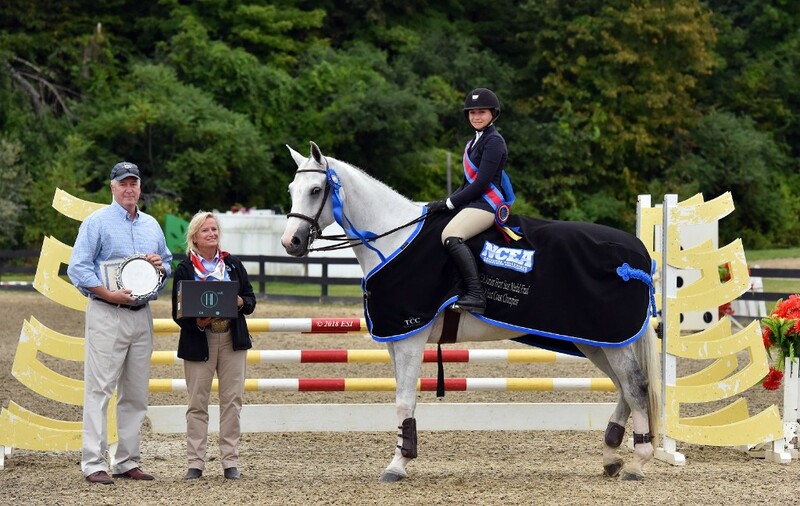 Antoniadis would follow and be victorious with an impressive score of 90, riding home with a blue ribbon, sash, trophy, custom Triple Crown cooler, silver trophy, Equifit boots, a helmet, and the custom silver trophy. 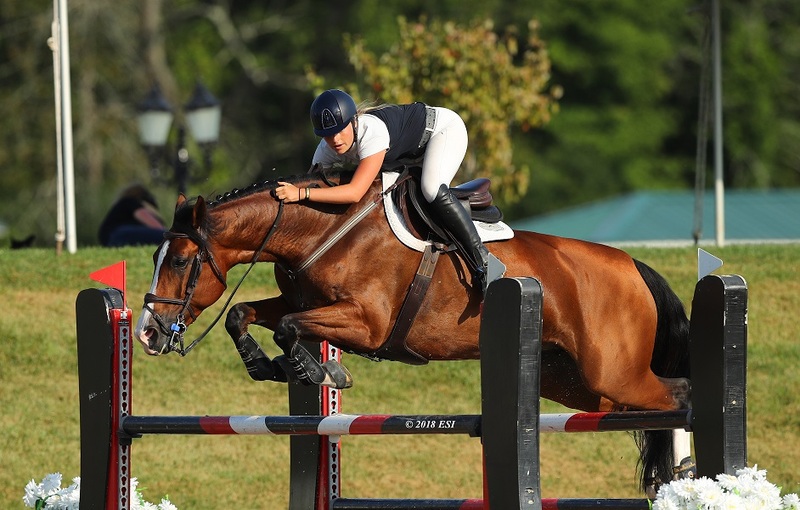 In addition to the FEI CSI5* schedule this week, over $50,000 was up for grabs in in the NAtional Open jumper classes, kicking off with the $5,000 Johnson Horse Transportation Open Welcome on Wednesday. Taking home top honors in the class was Kristen VanderVeen aboard BULL RUN’S DIVINE FORTUNE in a time of 33.718. Jumping to a second place finish was Aaron Vale and STAKKO in a time of 34.3262, followed by Quentin Judge aboard HH VENICE BEACH in third with a time of 34.940. Callan Solem and IMOGEN DE REGOR would win the white ribbon in a time of 36.226. Rounding out the top five was Laura Chapot and her partner UMBERTO in a four-fault time of 33.928. 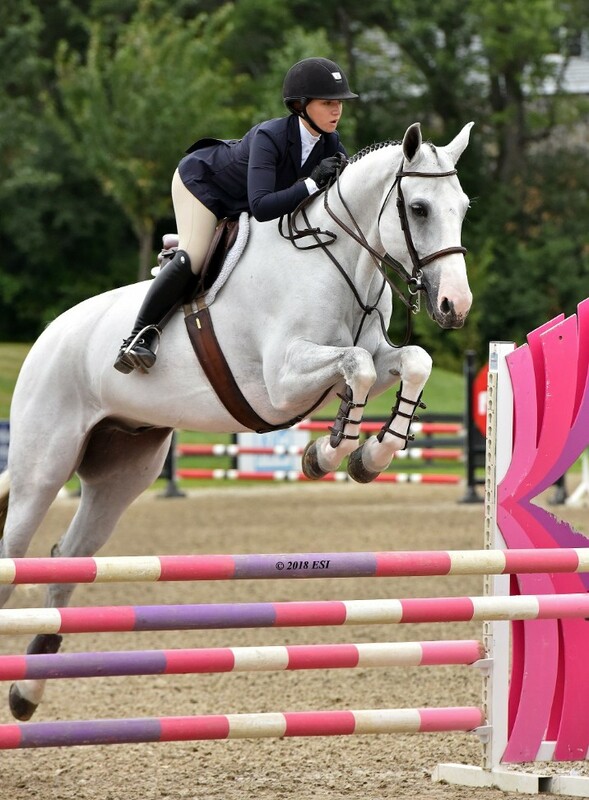 Rider’s would return on Thursday afternoon for the $10,000 KindredBio Open Jumper Prix. Brian Moggre and MTM FLUTTERBY would take home top honors in the class with a time of 32.215 in the Jump-Off. In second would be Emanuel Andrade and BOY IV to finish in a time of 32.888. Andrade would also take home the fourth place ribbon aboard GRAN MAMUT in a time of 33.300. The third place ribbon was awarded to Chapot for her ride in 33.029 aboard CALAFORNIA. Taking home the fifth place ribbon was VanderVeen aboard BULL RUN’S PRINCE OF PEACE in a time of 33.833. Angelo Danzo and EUPHORIA would be victorious in the $10,000 Saugerties Steamboat Co. Jumper Classic in a time of 25.673. Natalie Dean and DON’S DIAMANT would take home the second place ribbon in a time of 25.785. Chapot would return to the Winner’s Crcle aboard UMBERTO to capture a third place finish in a time of 26.308, and a fifth place finish in 26.380 aboard ZEALOUS. VanderVeen would ride home with the white ribbon aboard BULL RUN’S ULTIMATE GRACE in a time of 26.334. Kevin McCarthy and CATCH A STAR HSS would take home the blue ribbon in the $2,500 Pyranha Junior/Amateur- Owner/Amateur 1.20m Jumper Classic. Taking home the blue ribbon in the $5,000 Summit Joint Performance Junior/Amateur- Owner/Amateur 1.30m Jumper Classic was Jamie Buis for her ride aboard BONITA. Rising to the top of the standings in the $7,500 Milea Auto Group Marshall & Sterling Children’s and Adult Jumper Classic Wild Card was Lilia Holder and FLOWERBOMB. 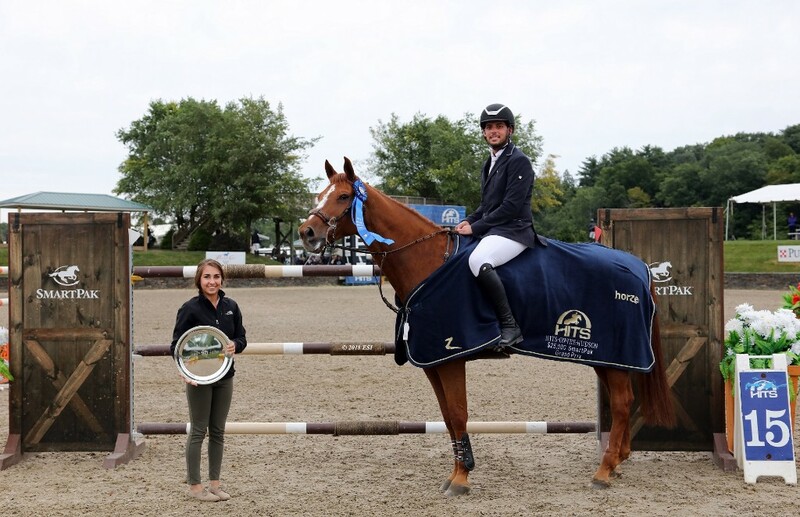 The final national class of the week for jumper riders was the $25,000 SmartPak Grand Prix where Andrade would take home the win in a time of 35.266 aboard TUPAC VAN DE VROMBAUTSHOEVE Z. Andrade would also take home the fifth place ribbon aboard CLOUWNI in a time of 40.396. Chapot would find herself in the Winner’s Circle once again, this time aboard CYBEL II in a time of 36.837. Kady Abrahamson and BOUDIKA IDEAL HOME would take home the third place ribbon, crossing the timers in 38.624. The white ribbon would go to Scott Keach for his ride in 39.854 aboard FALCON DE HUS Z. For a full listing of results from HITS-on-the-Hudson VIII, click here. 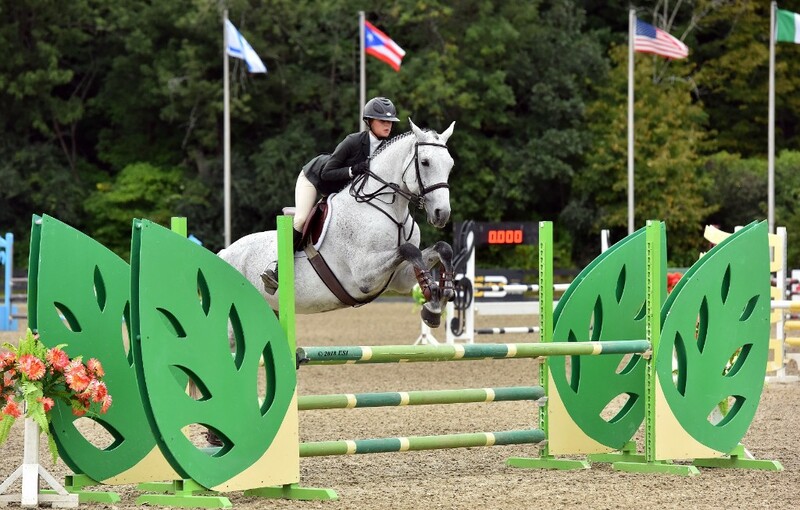 Don’t forget to tune in for another week of show jumping competition at HITS-on-the-Hudson as we jump “hoof first” into the Marshall & Sterling Insurance National Finals. For more information on the special events scheduled for this week, visitHitsShows.com. Catch the action LIVE on ShowHorse TV! Watch live streaming each show day from the Grand Prix Stadium!